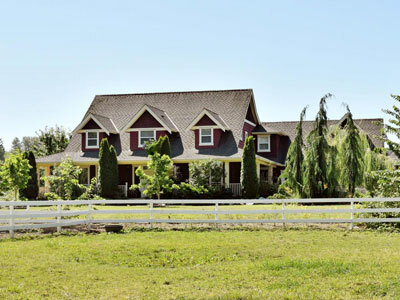 What You Get: A beautifully landscaped estate with custom home and small boarding stable. The House: The Heritage style 3,651 sq. ft. home has 4 bedrooms and 4 bathrooms, with top of the line finishes such as custom millwork, hardwood floors, granite counter tops and a gourmet kitchen. It has 900 sq. ft. of veranda space to enjoy the stunning gardens, including a 20,000 gallon Koi pond with waterfall and bridge. The Barn: The 70’x40’ barn has 7 large box stalls, and there are also 12 covered outdoor stalls with attached sand paddocks. Plus, there is a large outdoor riding arena and round pen. The 8 large pastures are cross fenced and predator fenced.